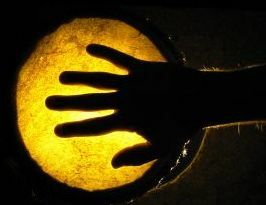 There is a new movement afoot in the world of business, namely social finance, and a new concurrency in the ethical, diverse and empathetic way that organisations with an appropriate mission are related to, funded and supported. Both from the world view of the consumer, but also the wholesale and retail social finance sector. There is also a stirring of new thought and sensibility in the world of economics. How it is taught, how it is understood in terms of social impact and how diversity of viewpoint, model and perception should be just as important as rigid neo-classical dogma. A challenge to the accepted order…. 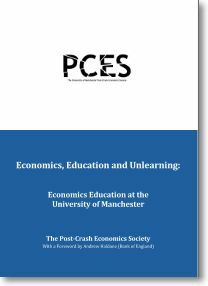 University of Manchester Post-Crash Economics Society (PCES). Their paper Economics, Education and Unlearning is at once a polemic against the orthodoxy of their present academic tutorial staff and system, but is also a proxy for how a new generation of economics graduates will come to see this diversity and system choice in framing new concepts for the future. Much of the PCES paper is a critique of the detailed processes of tutorials and curriculum delivery at the University. However, there is also much to be gained from a reading by those interested in economic thought in the wider context. In the real world it is these shades or degrees of economic thought which so often temper the real aspirations of economic players, at the local, regional, national and now often, international level. Adam Smith concept of the ‘invisible hand’ in Smith’s 1776 book The Wealth of Nations gave us the prime mover of neo-classical economics. That the ‘…pursuit of self interest, at the level of the household or firm, resulted in aggregate outcomes which could be optimal for society as a whole’. The thesis that greed is good, that competition triumphs all. Haldane’s argument is that for the 21st Century, for a social finance environment, built on an ethical and socially responsible framework, it is Smith’s earlier work, The Theory of Moral Sentiments, published in 1759 that should now become our principal text, ‘…it places centre stage concepts such as reciprocity and fairness, values rather than value’. Whatever your originating position on economics, from neo-con to Marxist- feminist and all hues in between, we hope you can be persuaded that the students of Manchester, and other centres of learning, have marshalled a compelling set of arguments to amend and redirect the teaching of economics in the U.K. It bodes well, we would argue, to have a new generation of economic thinkers unafraid to mould theory and practice into a many headed fiscal hydra, in order to eat into the economic disenfranchisement and unfair distribution of so much of the world’s population.